It seems like an eon since last a Bass Cadet article was posted. Finally it’s time to rectify matters with an interesting addition. I gave away a few clues in my previous article, savvy retro heads should have figured it out long before this post went up. Sierra On-Line were one of my fave game development houses back in the 80’s with their strong line-up of adventure titles. A noteworthy developer, particularly on the PC. They had a knack for quality games and amazing packaging with killer cover art. Probably the end result of, a genuinely inspired passion for what gaming, was truly all about. However, Sierra were not just a developer but also a publisher that established ties with one of their counterparts in Japan. This was none other than the equally proficient – Game Arts. Famous for releasing hit games such as Thexder, Silpheed, Zeliard and later on the Lunar and Grandia series of rpg’s. Game Arts started out developing for home computer platforms such as the MSX and NEC PC-8801. Both of which were hugely popular in Japan. Sierra On-Line ported and published Game Art’s earlier titles over to the west, with great success. While Thexder remains a firm favourite of mine, and still enjoy to play it periodically. I have fond memories of Silpheed for a reason. This game came packed in with my very first sound card – Creative Labs’ Game Blaster. Finally I could enjoy arcade-quality FM tunes on my home PC and Silpheed would be my first foray. I’ll be honest, Silpheed is not a particularly great game – it’s not terrible by any stretch either. Technically it’s impressive for it’s time, but rather bland. None the less, control is great and a space opera ambiance is conveyed rather competently. The music plays a big part in this, managing to cover cheerful, heroic and melancholic melodies. As the player, one does get a sense of partaking in an interstellar dog fighting scenario. Silpheed’s BGM is composed by Hibiki Godai which just happens to be an alias. The real artist’s name is Kohei Ikeda for the sound team known as Mecano Associates. Above is the soundtrack of the original version of the game when it debuted on the NEC PC-8801 on the 5th of December, 1986. Over the weekend I decided to dig out my old Pentium PC from the storeroom, saving it from permanent obsolescence. Ridding the machine of dust and grime was tiresome and time-consuming. A task that I didn’t confidently believe would be fruitful, as I was unsure whether the various components in the system were in working order. Slowly but surely I took the computer apart, inspecting the motherboard, power supply unit, cables, video and sound cards, modem, various drives and their relevant controllers etc. On the surface everything seemed fine, just slightly dusty. Thankfully, no nasty capacitor leakage was detected, a scourge on many older computers and other electronic equipment. Even the CMOS battery seemed healthy, but later on it became apparent that it was out of juice and required replacement. Interestingly enough, with everything in bits and pieces was the opportunity for rediscoveries. Such being the case of the sound card. My trusty old workhorse didn’t just possess any pedestrian audio device…oh no! Instead it would be the Sound Blaster AWE64 from Creative Labs, truly a terrific card with impressive specifications for it’s time. However, it’s real draw is it’s FM Synthesis capabilities which just made me eager to fire it up urgently. Carefully I attended to piecing together the machine before, finally powering it back on in years. Excited and at the same time worried of prospective faults. Fortunately my fears were soon alleviated, the hum from the power supply sounded as I remembered it. However there was a ‘CMOS Checksum error’ on start up, though that was due to battery depletion which was soon rectified. Apart from some wavy video output, which is somewhat attributed to electromagnetic interference from the power supply. I moved the graphics card to the furthest slot away from the PSU and image quality improved noticeably. In all likelihood, there is probably a fault with the video card as I don’t recall encountering this issue before. Some shielding could help and am already looking into that. The good news is that everything else is in working order. Once I installed the drivers and tested the Sound Blaster, hearing the sounds generated from this card made all the difference. Finally, all my hard work in getting the Pentium up and running was validated. I now have an authentic and dedicated system which will gradually find it’s way in aiding in my game music compositions. An awful lot can be said about the differences of working in an emulated environment versus actual hardware. Essentially convenience in contrast to veritable accuracy. 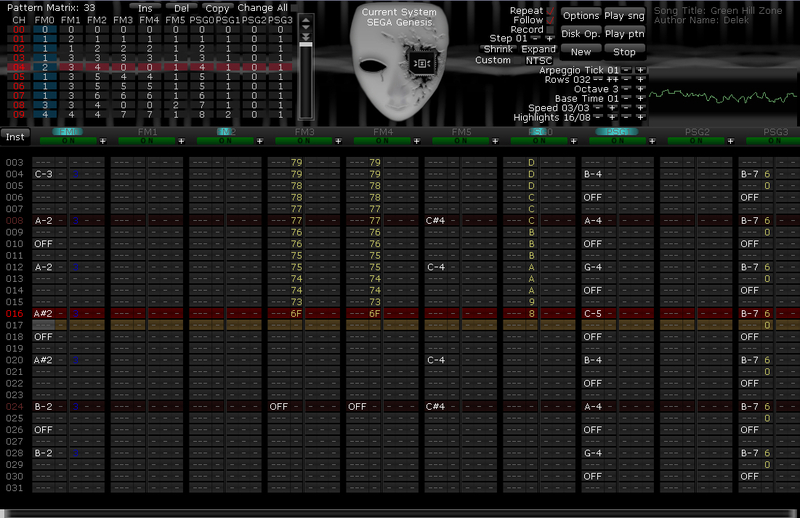 One cannot discount the enormous cost factor and usefulness VSTi’s (virtual synthesizer plugins) bring to the table. For some, this may be the only feasible option available to them. And in many ways, music produced with the use of VSTi’s can sound just as good compared to hardware. Not forgetting to mention that, VSTi’s and even trackers have advanced tremendously in offering astoundingly accurate renditions. Nonetheless, moments spent listening to the Sound Blaster in action is undeniable proof that hardware can trump software. There is an evident richness in the sound that doesn’t quite come through in emulation such as DOSBox or any other applications. 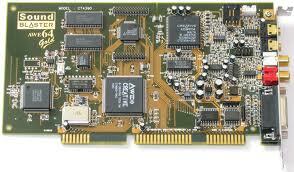 Yamaha’s OPL2 & OPL3 FM sound chips were employed in the early range of Sound Blaster cards. Noble attempts at recreating the sounds emanating from these two chips have come close – but still nothing like the real thing. For this series of FM synthesis music I want to go into a fair bit of detail regarding FM synthesis. Especially experimenting with FM synthesisers to make retro music. 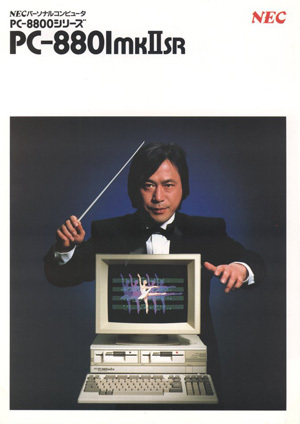 However this slightly shorter article is going to give a quick overview of the most popular method for creating retro FM game music. There’s some great written and video tutorials online which go in-depth about using trackers so I won’t go into detail here. But essentially trackers work by ordering samples which have been pitched by note value into patterns and orders on the channels. Effects are then used to further enhance the programmed material. Effects in trackers however aren’t the usual reverb, delay, chorus, etc. that you may find in a DAW. But rather ways to add variation to the programmed notes in terms of pitch, stereo positioning and volume. Such effects include Arpeggios, Vibrato, Portamento, Tremolo and Panning. As mentioned in the previous article there are a number of classic audio chips out there that were used in gaming systems. One chip that was specifically mentioned was the Yamaha YM2612 which was used notably in the Sega Genesis and Megadrive systems. This chip, along with others, have support from such trackers as DefleMask. Meaning you can program audio for specific chips using these trackers. For further reading (and viewing) I have included some links below of both trackers and tutorials on using them. Throughout my years studying music composition and production I have learnt how to program synthesizers for certain projects. As part of this it was a wise idea to learn how to program FM synthesisers. FM synthesis isn’t as easy to get to grips with as subtractive synthesis but it does reap rewards once learned. So throughout future articles, I will discuss how to program FM synthesisers. In discussion will be programming various sounds and how to get the synths sounding retro. Part of this will be covering numerous techniques of how to achieve the retro sound by means of modern effects such as bitcrushing. But we will also look into what else can be done to give the synthesizers and audio the retro game sound.